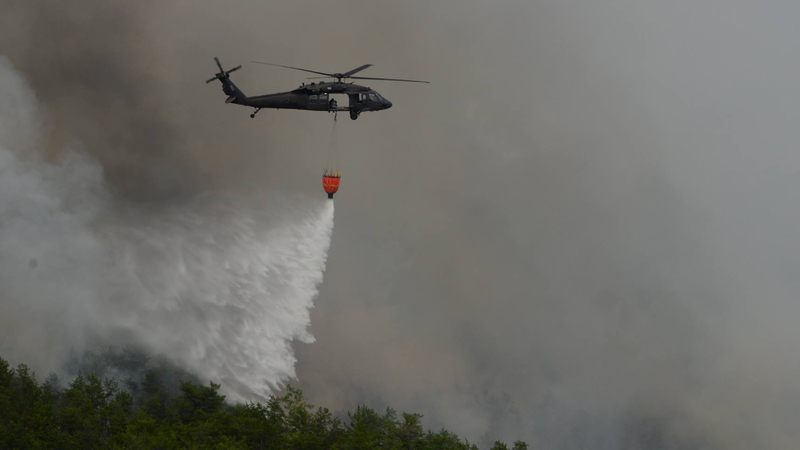 ALTONA--New York Army National Guard Soldiers assigned to 3rd Battalion 142nd Aviation Division deliver 660 gallons of water onto a forest fire in Flat Rock State Forest in Altona, N.Y. on Friday, July 13 2018. Two UH-60 aircrews responded to a fire that broke out in Altona N.Y. and spread across 500 acres over the July 13-15 period. The aviators also flew a mission in support of fire fighters on Sunday, July 15.